Marty is an experienced trial lawyer who has handled cases in state and federal courts across the country throughout his career. 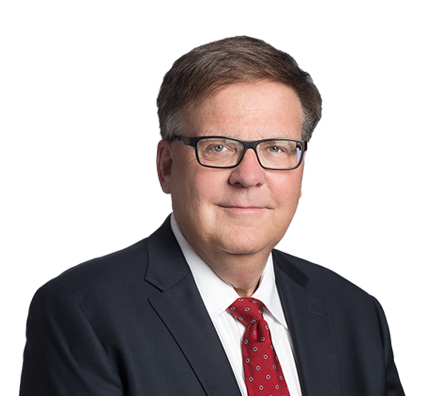 He focuses his practice on business and commercial litigation and frequently represents clients from the energy industry and institutions of higher education. Marty practices complex litigation and has extensive experience defending consumer class action cases in a variety of industries. He has defended for-profit colleges against hundreds of cases and claims filed in multiple jurisdictions by former students alleging consumer fraud and seeking class action status. Marty also has significant experience defending data breach class action litigation. Marty led a team that defeated a major False Claims Act (FCA) case in U.S. District Court in Milwaukee. The relator alleged massive fraud committed against the Department of Education by a large for-profit career college over more than seven years. Total damages plus penalties claimed were $394 million. The District Court granted a motion to dismiss in part for failure to state a claim, a motion to dismiss in part for lack of subject matter jurisdiction, and the week before trial granted summary judgment on all remaining claims. The Seventh Circuit Court of Appeals affirmed all those rulings, in a groundbreaking opinion that redefined Seventh Circuit law under the FCA. Represented major regional gasoline retailer and selected as defendants' liaison counsel on behalf of more than 140 defendants in dozens of consumer class action lawsuits across multiple districts in Motor Fuel Temperature Sales Practices Litigation (MDL). Worked with team of lawyers from firm's Austin, Texas, office to help try an administrative hearing before an ALJ for the Texas Public Utilities Commission, seeking to prevent construction of $500+ million, 180-mile power transmission line designed to transmit power into Houston market. Defeated class certification in major consumer fraud case against national postsecondary education provider in Madison County, Illinois. Client was accused of violating Illinois Consumer Fraud Act and Private Business and Vocational Schools Act by not providing accurate information to prospective students for seven years. Plaintiffs' demand to settle case was more than $20 million. State appeals court denied class certification. Prosecuted trial and appeal of U.S. Tax Court case in excess of $20 million, resulting in finding for taxpayers on proper method of depreciating natural gas gathering assets. Represented major segment of natural gas pipeline industry, including several dozen separate companies, in nationwide class action lawsuit in southwest Kansas alleging under-measurement of volumes and British thermal unit (BTU) content. Ultimately, defeated class certification and obtained dismissals for all clients. Managed all litigation nationwide for Aquila Inc., a Fortune 500 diversified energy and utility company, for 10 years. Obtained defense verdict in Richmond, Virginia, trial of $9 million claim for breach of contract in sale of natural gas, with associated package of derivative hedging agreements. On behalf of nationwide wholesale subprime mortgage banker, obtained defense award in $35 million arbitration in Orange County, California, for breach of confidentiality agreement and wrongful solicitation and hiring of employees. Five-week jury trial in Liberty, Missouri, against former students of proprietary career college on consumer fraud claims, resulted in defense verdicts against four, dismissal of four others and nominal verdict in favor of one. Plaintiffs' attorneys then sought more than $3 million in attorneys' fees and were awarded nothing. All results affirmed on appeal. Obtained defense award in St. Louis arbitration of student consumer fraud claim against proprietary college. Shortly thereafter obtained dismissal of similar arbitration the day before scheduled hearing. Outcomes led to favorable settlements of more than a dozen additional arbitrations set for hearing during following six-week period. Prosecuted insurance coverage declaratory judgment lawsuit to set aside unreasonable $1 million consent judgment. Opinion of Missouri Supreme Court established new Missouri rule that settlements under Missouri Revised Statues Section 537.065 must be reasonable. Successfully defended client Le Cordon Bleu Culinary School against legally blind claimant whose application to the school was denied on the basis that he would be unable to complete hands-on program because of visual impairment.